Great rooms, great facilities and super friendly helpful staff at the front desk and in the Spa. Excellent breakfast Buffet!! the beds were really comfortable. It has A/C, which is a great feature in the heat of Mallorca. It's got several pools, so you never feel like the crowd is too big. There's a kite surfing school right there, if you like adventure. Had most of the amenities one would need, good deal, location is nice bcs it’s only about 20-25min to Formentor Beach, the best beach in Majorca, in my opinion , and close to Pollença, Port of Pollença, and Alcúdia. Breakfast was excellent for the money, good bubbly included, crepes with Nutella, smoked salmon every other day. Also, kids pool was great, parking fairly easy, staff was nice, overall a good deal for the money paid, but nothing fancy. The grounds were very well maintained. The rooms were modern yet simple and had everything we needed! The staff was amazing, they were so friendly and took care of all our needs smoothly and with a smile! Breakfast buffet was a great value and had everything we could have wanted. The entertainment in the evening was a lot of fun and the staff was so much fun, even during the day with the activities they offered! We ate at the small restaurant beside the resort, El Patio, and it also was very good! Something for everyone! Highly recommended and we will return. excellent fast check in, our room was amazing we had our own veranda and hot tub overlooking the sea it was spotless well maintained could not have asked for anything better there was nothing negative about the hotel. entertainment team were excellent. Accommodation, facilities, cleanliness and service were very good. Food was excellent too. A very hard working group of staff, impressed. Nice facilities overall, and I assume over summer a good location to bring your family. We did not have the best weather to enjoy the pool but the room was spacious and the spa available to compensate for that. The breakfast and dinner buffet were great and provided a great selection of meats, salads, freshly prepared food (like eggs, kebab, or fish). There are bike for rent (city bikes and sport bikes), a small supermarket and overall attentive staff that help make the stay enjoyable. There is a busstop directly in front of the entrance. Also in addition of the hotel restaurant there is another on the premises and a second one two minutes walk away. The location of our apartment was very good. 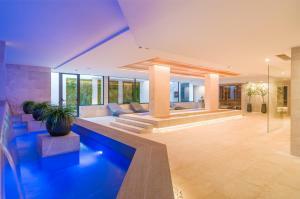 Easy access to the Pools. We self catered so can't comment on the food. Excellent holiday and would recommend to others unless you wanted to be right in town. Lock in a great price for Club del Sol Aparthotel – rated 8.6 by recent guests! Club del Sol Aparthotel This rating is a reflection of how the property compares to the industry standard when it comes to price, facilities and services available. It's based on a self-evaluation by the property. Use this rating to help choose your stay! 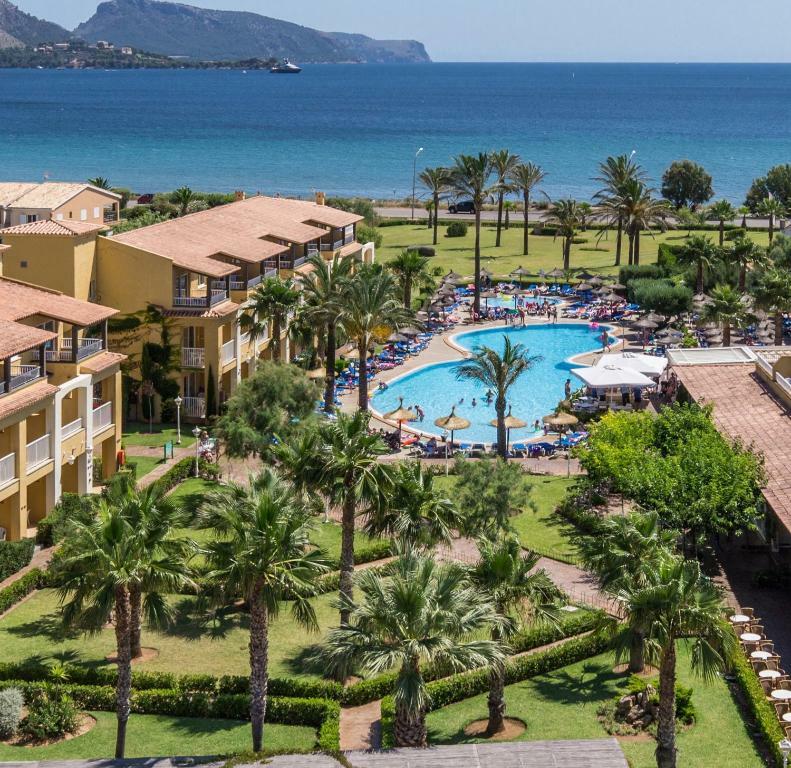 One of our top picks in Port de Pollensa.Club del Sol has 2 swimming pools, surrounded by palm trees. It is set 2,300 feet from a pebble beach and 0.9 mi from a sandy beach in Pollença. All apartments at the complex have a private balcony with views of the pool, gardens or the sea. There is free Wi-Fi, a Nespresso coffee machine and air conditioning. The resort has amazing views of the sea and a spacious sun terrace. 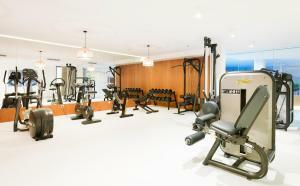 Facilities include a cycling center, mini golf and a games room. The adults-only fitness center and spa feature a sauna, thermal circuits and a variety of treatments are offered, including massages. The resort offers activities, shows and a full entertainment program. There is a bar and a traditional restaurant with buffet breakfast and a supermarket. Free public parking is possible nearby. The Club del Sol is in the north of Mallorca, a short drive from S’Albufera Nature Reserve. When would you like to stay at Club del Sol Aparthotel? 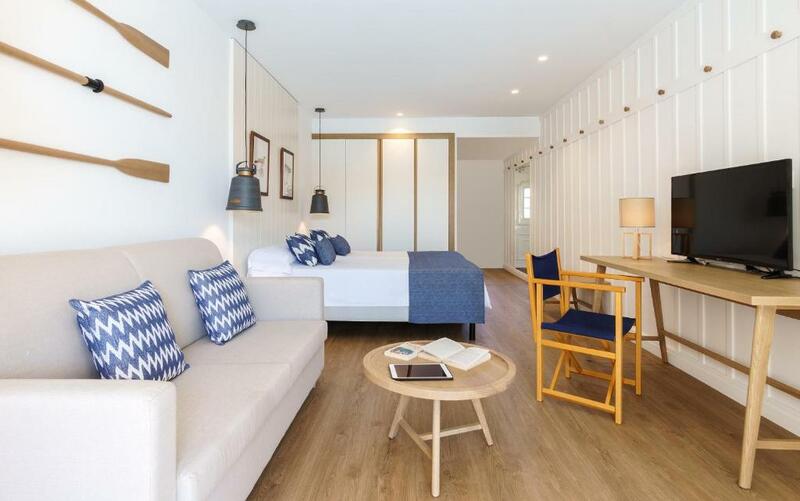 Featuring a private balcony, this air-conditioned room has 1 twin room and a bathroom. It includes a lounge with satellite TV, a sofa bed and kitchenette with a microwave, coffee machine, kettle and fridge. There is free WiFi and a free safe. This one-bedroom air-conditioned apartment features a private garden or patio with lounge chairs and a parasol. It has a living room with satellite TV, a sofa bed and a kitchen with a microwave, coffee maker, kettle and fridge. This double, air-conditioned room offers sea views, a private terrace with sun loungers and a hot tub. This one-bedroom air-conditioned apartment offers sea views and a private terrace with sun loungers and a hot tub. 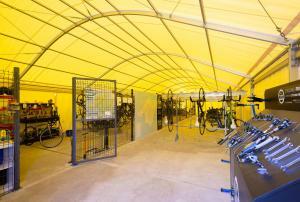 A repair service and bicycle rental service are available at an extra cost. 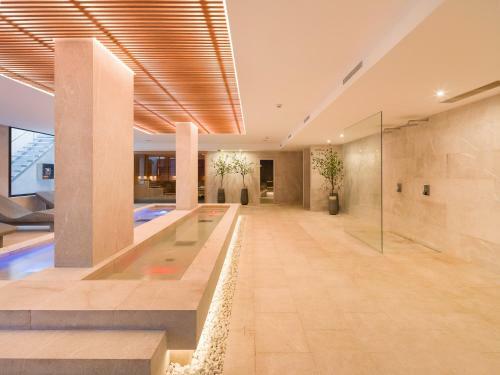 Hotel perfecto para pasar tus vacaciones en familia. Nuestro atento personal hará que sus vacaciones sean inolvidables. Estamos a su disposición para aclarar cualquier duda que tenga. Póngase en contacto con nosotros. 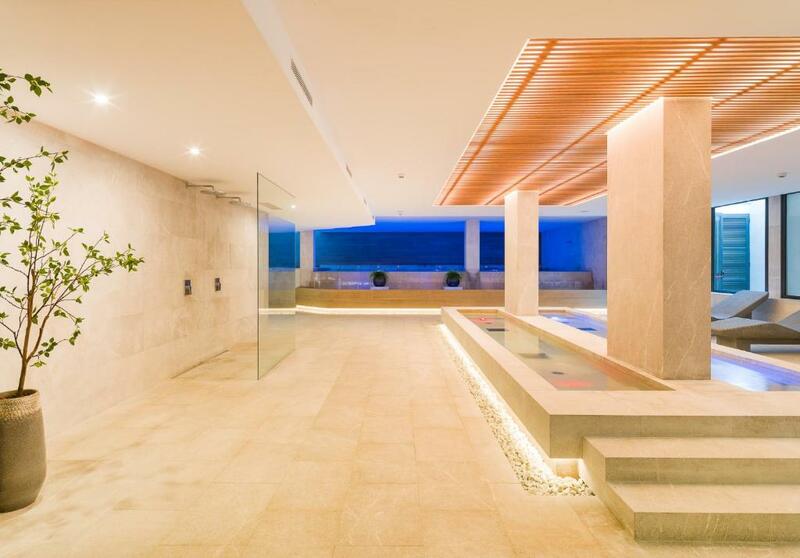 House Rules Club del Sol Aparthotel takes special requests – add in the next step! Club del Sol Aparthotel accepts these cards and reserves the right to temporarily hold an amount prior to arrival. The lady in the recption could not manage by herself. in the room price, a bottle of water and a champagne was included. Although when asked about it, they said they would put it the next day. And the next day they put two beer bottles in our room:( It was my husbands birthday and did not buy champagne as i thought it would be in the room. Great facilities and wonderful food. Spot on for our cycling holiday. Noise. I am not sure if this was just a coincidence and it doesn't always happen but all 3 days we could hear quite disruptive sounds: delivery vans, buses idling outside the hotel, kitchen fans. Maybe that's just in our room. I found this quite surprising as the hotel itself is located further from the main road so you would expect it to be very quiet but it almost felt like in the busy city center. Great SPA, helpful staff, good food. Location is ok having a car or bike. We hired bikes so it was very easy to get everywhere otherwise it would be at least 20 minute walk to the nearest beach or town. Would be nice if they had a shuttle to Puerto Polenca. It is bit of a walk to town. Although there are bus stops on the road in front of the resort the bus service was a bit inconsistent. The hotel staff are friendly, the breakfast was tasty and had lots to offer. The rooms and hotel are very clean.